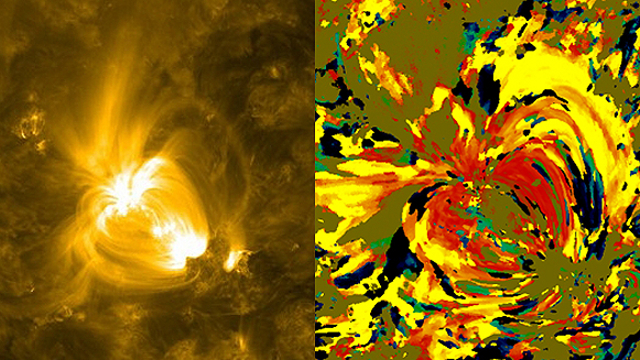 Left: Colorized image captured by NASA’s Solar Dynamics Observatory (SDO). Credit: NASA/SDO. Right: Visualization, based on the image on the left, using specific colors to describe which areas on the sun cooled or heated over a 12-hour period. Credit: NASA/Viall.